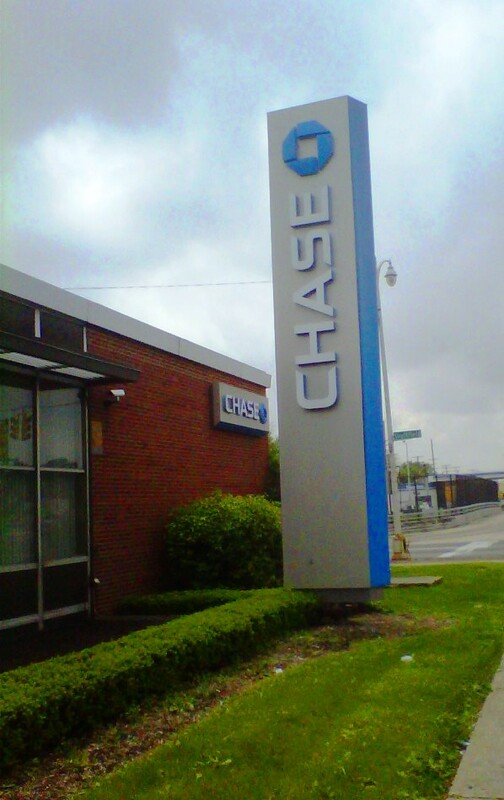 There was an attempted robbery at the Chase Bank (17733 W. Warren Ave.) located at the southeast corner of W. Warren Avenue and the Southfield Freeway. This incident happened at approximately 1:15 p.m.
Luckily for everyone who was in the bank at the time - except of course the robber - there was an off-duty Wayne County Sherrif deputy in the branch when this happened. Wally Beydoun of the Wayne County Sherrif's Department managed to stop the crime without incident. The Arab American News has complete coverage of this attempted robbery on their website here. I commend Beydoun for remaining calm during a difficult situation and thinking so quickly.